Discussion in 'Android Devices' started by salmonman78, Feb 19, 2011. Well me and my wife just bought our phones last night and I am not a fan of the cheap hard plastic backed cases they threw in as well. 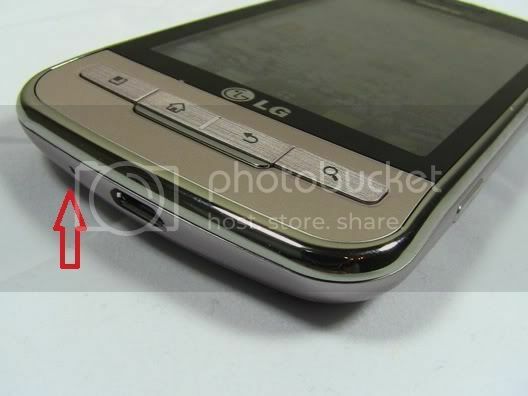 I have a Otterbox for my son for his iPod touch and I saw they are planning one for the LG Optimus as well. Well, I preordered a couple for me and her but now see that there are some slight differences to the models of the Optimus. All the side buttons and charger port and ear speaker all look like they will work, buttons don't looks too far different besides shape. Just want to make sure the phone will actually work it in, they all look 95% the same just wanting a second opinion. Not sure what an Otterbox is, but I have a couple of the soft "gel" silicone cases that work very well. YES, there are button position DIFFERENCES in the various Optimus models. First case I bought turned out to be for an Optimus S (Sprint version) -- and the holes were on the wrong side. I had to use scissors to make extra holes. This was before all the Optimus M cases came on the market. Just make sure it says it's for the MS690. I have since thrown that one away and bought soft gel cases specifically for the Optimus M. Amazon.com has several. My favorite actually is the "clear" soft gel case. The one I have has rough texture finish on the back that enhances the grip. Well the Otterbox is a hard shell that snaps around the phone that is then covered by a thick rubber outer part, a real secure and tough case and my son has one for his iPod Touch and its worked great. They say for the Optimus S and U but besides the android buttons being a different shape and maybe 1/10 of a inch difference I would think our phone could still use it. I mean the volume and camera buttons are still in the same spot along with the power...just trying to see what others think or should I kill my preorder or are they close enough where I could get away with it. Thanks for the reply, really diggin this phone so far. They say for the Optimus S and U but besides the android buttons being a different shape and maybe 1/10 of a inch difference I would think our phone could still use it. I mean the volume and camera buttons are still in the same spot along with the power...just trying to see what others think or should I kill my preorder or are they close enough where I could get away with it. S vs M: camera button is on opposite side as well as the mic being on opposite side. "S" has a hole on the lower left side for their SD card -- whereas we need that hole over on the lower right side for our camera. We actually need two holes on the right side -- volume and camera. (Note this is flipped over view of our "M") Also note the mic location at bottom on the M? See where the "S" mic is? On the bottom RIGHT? Whereas, "M" mic is on the bottom left. I had to use scissors to make a hole on the "S" case. If the mic is covered, people won't hear you! That's why I had to use scissors to cut holes on the "S" case, which also left me with two extra holes I did not need. I threw it away and got the real MS690 case when they became available. Go to Amazon and type optimism m silicone case..there's this seller name Debbie deals or sumthong like that.she sells cases in assorted colors for 5 bucks..I have a Blue one.its fits perfect and works super well..I fully reccinend going that route.ESP cuz its literally 5 bucks with shipping...check em out..
damn....just damn...I had a feeling it would be something tiny...ah well. Thanks guys for putting up with my newbness. FOund that seller and gonna order one shortly. Thanks again. No problem.just hit the thanks button!